Concealed carry is a protected right in many places, but there are still areas where firearms aren’t allowed at all. Whenever you visit the post office, church, a federal building, or some businesses, you will be required to leave your gun in your car. 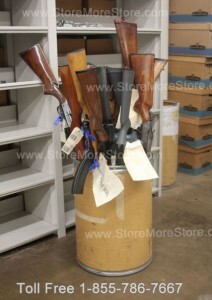 While it’s stored and unattended, you should keep your firearms as secure as possible. 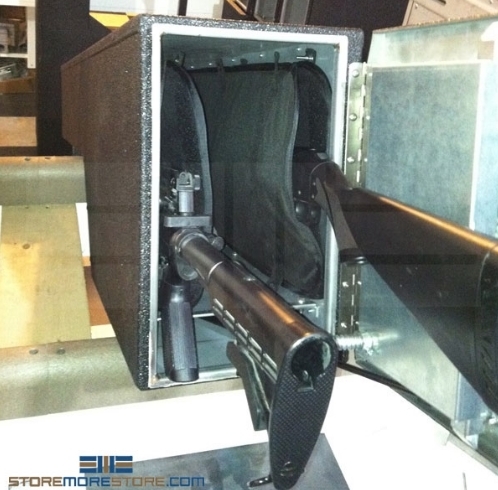 Vehicle gun safes are a quick and easy way to keep your firearms in your car or truck out of sight and with enhanced protection. 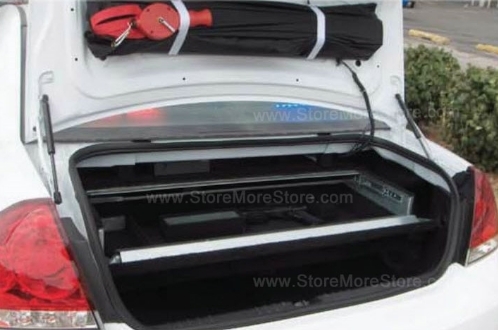 Trunk-mounted lockers are great for both police and civilian vehicles or SUVs. 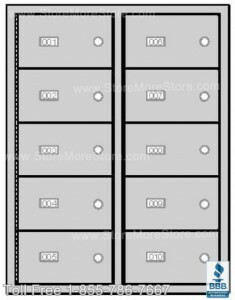 The trunk lockers typically hold 2 long guns and multiple handguns so you can securely store pistols, rifles, ammo, shotguns, and magazines. 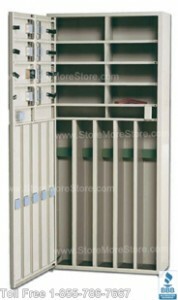 This not only keeps your weapons secure, but also keeps them in one organized place. Each safe includes three points of entry: remote, a hidden push-button, and a master key that can be used in the event of a dead battery. The safe also has a compact design that uses no floor space in your trunk, which allows more room for storing other items. A hardened steel and tamper-resistant lock ensures complete security at all times. If you drive a pickup truck, you can still ensure that your firearms are secure. The units will store two long guns with ammo and mount onto the wheel well in the bed of the truck. 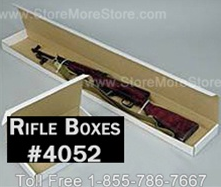 Heavy-duty .75″ galvanized steel, Velcro fun sleeve closures, and Line-X bed liner protects the safe and stored firearms from rust and environmental elements. Wireless remote control provides high security with a tamper-proof door accessed via remote control. 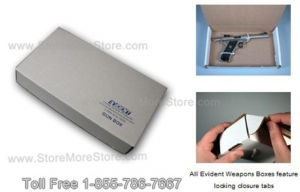 Vehicle gun safes for cars, trucks, and SUVs are available to buy online. Visit our product page for more information and specifications. If you need assistance or require customized features, toll free at 1-855-786-766.